An Integral Part Of Ghanaian Culture. Take a close look at Ghana culture and you'll find that Ghana festivals are an extremely attractive aspect of this beautiful country. The festivals reveal a whole lot about the art culture of Ghana, the beliefs, and common features of the Ghanaian society. People paying homage to the cheif at a durbar. Festivals are used as a means to remember ancestors and be favored with protection from them. Also, festivals are often held in order to purify the area to allow people to go into a new year with hope. If you are visiting Ghana, you'll definitely want to consider visiting some of these Ghana festivals, so here are a few that will give you a better idea of Ghana culture. When it comes to the art culture of Ghana, Panfest is a wonderful festival that features all types of art and culture, such as music, African dance, and various other types of performing arts. This festival is held every two years and it is dedicated to developing the continent of Africa as well as to help lift up the Pan-Africanism ideals as well. It is also held to unite Africans and African descendants in the Diaspora and other ports of America and Europe. Another one of the Ghana festivals you may want to attend is the Homowo Festival, which occurs in either July or August. Homowo is a word that essentially means to make fun of hunger. This is a festival of thanksgiving and also a festival celebrating the harvest. Ancient oral history talks about at time many years ago when there were no rains and there was a famine throughout the plains of Accra. Finally when the rains came and the harvest and food was plentiful, everyone was so excited, thankful, and happy, that they began to hold a festival that made fun of hunger. The Fiok Festival is one of the Ghana Festivals that shows the war culture of the Busa people who are in Ghana. Their exploits are re-enacted during the festival and there is also dancing, durbar, thanksgiving to all the gods, and drumming as well. Usually this festival is held in December. This is a Festival that is held in the Kumasi and is a Festival that is held for the Ashanti people. It is also known as the Festival of the Asante, and the festival is to celebrate the ancestral stools of the Ashanti people being purified. This festival is held every 40 days and when it happens to fall on a Sunday, it is truly an amazing festival to see. 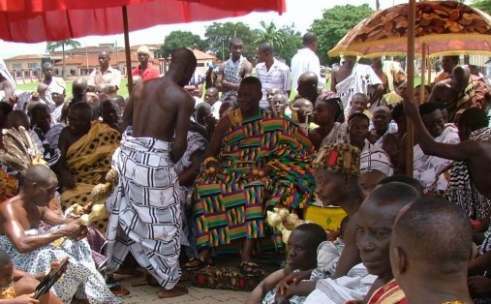 The Hogbetsotso Festival is a Ghana festival that is held in November on the very first Saturday in the Volta area of the country by the Anlo Ewes people. The main feature of this exciting festival is a durbar of citizens and chiefs. 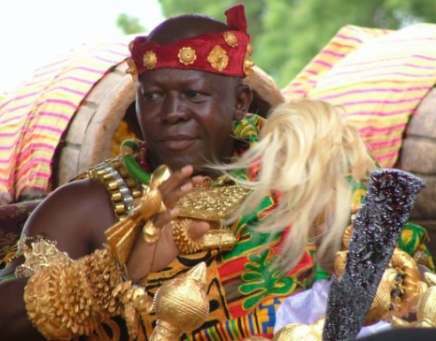 This is also known as the festival of the Exodus as well, and it is held each year to celebrate how the Anlo Ewes were able to escape from King Agokoli of Togo, who was a very tyrannical ruler. All the chiefs of the area appear in their most regal attire and sit to receive homage from the subjects that are in attendance. Through the entire festival, there is dancing and drumming to be enjoyed. As you can see, many of the old traditions of Ghanaians are celebrated during these festivals as well as the Ghana culture. There are many other common festivals that occur as well, and every big event in life is marked by some kind of ritual or rite. Marriage, puberty, child naming, and of course death is marked by big ceremonies and festivals. Also, the festivals that occur throughout the year also work to bring clans together in an amazing fashion. These Ghana festivals are all important to the people of Ghana. and also work to consecrate new seasons as well. seeing Queen Mothers and tribal leaders parade through accompanied by drummers and dancers. The ritual and celebration is so important to the daily life of the people of Ghana, which is easily seen by the large gatherings that occur at festivals, marriages, and funerals, which is something you'll commonly see when you visit this unique country full of such amazing culture. There are hundreds of festivals celebrated in different regions, by different ethnic groups and tribes and on different months. check this Festival Calender to see some of the popular festivals not mentioned above.